US Secretary of State pushes back against criticism from some conservatives that latest Iran sanctions do not go far enough. US Secretary of State Mike Pompeo on Sunday defended the White House’s move to reimpose sanctions against Iran amid criticism from some conservatives that the action does not go far enough to cripple the country’s economy. 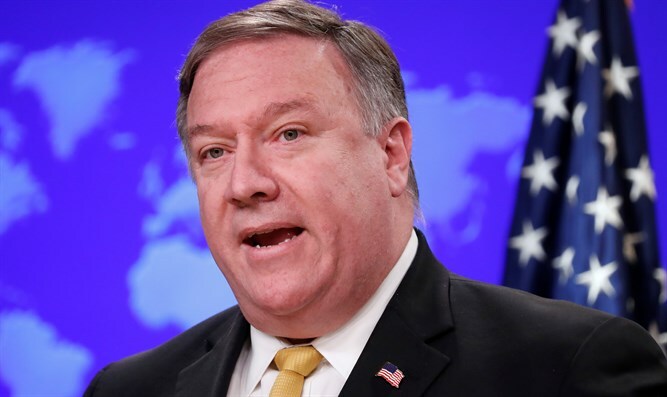 Speaking to Fox News, Pompeo said, "The sanctions that will be reimposed tomorrow are the toughest sanctions ever put in place on the Islamic Republic of Iran." "They're aimed at a single purpose -- denying the world's largest state sponsor of terror the capacity to do things like the things they've done in the past few weeks," he added. On Friday, the US announced the reimposition of all US sanctions on Iran that had been lifted under the 2015 nuclear deal. In announcing the reimposition of sanctions, Pompeo said the sanctions are "aimed at fundamentally altering the behavior of the Islamic Republic of Iran." He has in the past issued a list of 12 demands that Iran must meet if it wants the sanctions lifted. Those include ending support for terrorism and military engagement in Syria and a complete halt to its nuclear and ballistic missile development. The reimposition of sanctions follows President Donald Trump announcement in May that he was walking away from the 2015 deal and would reimpose sanctions. Despite the sanctions that are set to be imposed Monday, some critics are upset that some countries received waivers from the sanctions to continue importing Iranian oil, noted Fox News. On Saturday, Iran's Supreme Leader, Ayatollah Ali Khamenei, blasted the US for reimposing sanctions on his country. "The world opposes any decision made by Trump. America's goal to reestablish its control failed, and America was defeated by the Islamic Republic,” he said. Trump’s decision was also criticized on Friday by France, Germany, Britain and the European Union. "We deeply regret the reimposition of sanctions by the United States stemming from their withdrawal from the Joint Comprehensive Plan of Action," they said in a statement. The statement defended the deal as "essential for the security of Europe, the region and the whole world". "Our objective is to protect European economic actors involved in legitimate commercial trade with Iran," it added.